Really, really wet spots. This one was growing where a stream went over a rock outcropping just by the sea shore. 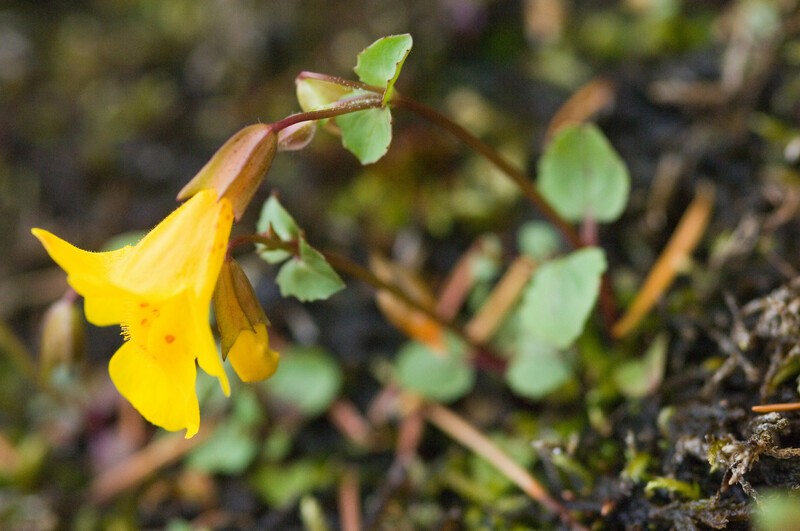 I've also seen this flower growing in alpine creeks. This plant seems to be almost an aquatic.